Pogba was a key figure for France both in the dressing room and on the pitch on the biggest stage in the World Cup in Russia. He was said to be motivating his teammates before games and his performances on the pitch were nothing short of brilliant. 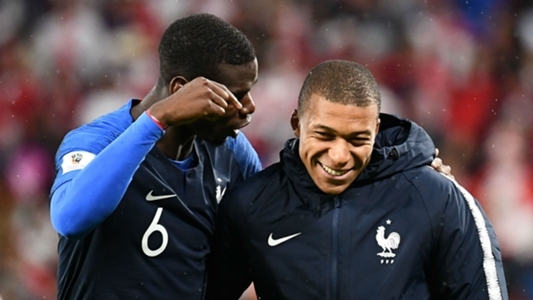 With the likes of Antoine Griezmann, Kylian Mbappe and N’golo Kante playing alongside him, Pogba led Les Bleus to their second World Cup crown after beating Croatia in the final. They also thumped Argentina, Uruguay, and Belgium during the knock-out stages of the tournament. Meanwhile, the French midfielder has divided opinion among fans and pundits given his poor form and inconsistency playing for United. However, Leboeuf, who was part of the French squad that won the World Cup in 1998 has claimed to understand the struggle Pogba is experiencing at the moment for his club. “It was very hard to come back to Chelsea, to the training ground, to start running, to think we had to play the first game away to Coventry,” LeBoeuf told ESPN FC. “As Paul said, you touch the stars. For thousands of people it wasn’t a dream, it was a fantasy. Suddenly you win it and you have to find the goals to make sure you still have a big appetite in football. “You go through kind of a depression where you have to find what you’re fighting for. “Maybe that’s what Paul is living right now with all the players. “You have to find back the pleasure of being back with your friends and liking sweating and suffering for the sake of it. Man United are currently occupying eighth place in the Premier League and although the League is still in it’s first half, United may not be able to catch up with leaders; Manchester City. There were claims early in the season that Pogba and Mourinho had misunderstanding, to the extent that the French player was stripped of the club’s vice captaincy. And since then, he has been linked with a move to both Barcelona and Juventus. The midfielder has featured in 15 games for United this season, providing five assists and scoring four goals across United’s Champions League and Premier League campaigns.